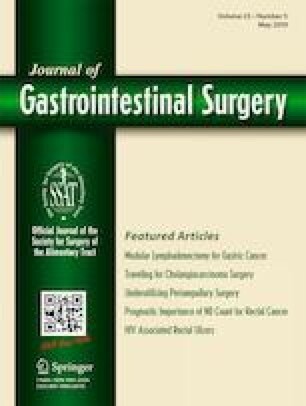 Splenectomy during total gastrectomy increases operative morbidity (Nakata et al. in Surgical endoscopy 7:1817–1822, 2015). Establishing a safe approach to laparoscopic splenectomy is one of the most urgent issues in the treatment of proximal advanced gastric cancer, which invades to the greater curvature (Kawamura et al. in Gastric Cancer 3:662–668, 2015). We developed a novel three-step procedure for splenectomy during laparoscopic total gastrectomy (LTG). Splenectomy consisted of three steps. Step 1 (dorsal approach): The pancreatic tail and spleen were mobilized. This step delineates the dissection plane and the anatomy around the pancreatic tail. Step 2 (suprapancreatic approach): The suprapancreatic peritoneum was incised to fenestrate to the mobilized space. The no. 11d station was dissected. The inferior branch of the splenic artery was exposed. Step 3 (splenic hilum approach): The spleen was lifted up to straighten the splenic hilum. The aim was to prolong the splenic vasculature and enable the surgeon to transect splenic vasculatures easily despite their anatomical diversity. Division of the splenic branches promotes mobility of the pancreatic tail, enabling precise dissection and preservation of its blood supply. Of 45 patients with gastric cancer who underwent LTG, seven underwent concurrent splenectomy. In all cases, splenectomy was successfully accomplished. The median operation time, duration of splenectomy, blood loss, number of total retrieved lymph nodes, lymph node counts from stations 10 and 11d, and drain amylase levels on the third postoperative day were 382 min, 94 min, 30 ml, 51, 5, 5, and 158 IU/L, respectively. Postoperative morbidity more severe than Clavien-Dindo grade 2 occurred in one case, with no pancreas-related morbidity. No mortality or conversion occurred. This laparoscopic procedure allows adequate nodal dissection and safe splenectomy. The online version of this article ( https://doi.org/10.1007/s11605-018-4010-8) contains supplementary material, which is available to authorized users. Hiroyuki Matsubara contributed to the study concept and design, analysis and interpretation of the data, and drafting of the manuscript. Yousuke Kinjo contributed to the interpretation of the data and drafting of the manuscript. Seiji Satoh contributed to the study concept and design, interpretation of the data, study supervision, and drafting of the manuscript. All authors contributed to the acquisition of the data. All authors contributed to the critical manuscript revision and final approval of the version to be published.